Google Got a Makeover. Love It? Hate It? Listen to "Ep. 9: Google got a makeover. Love it? Hate it?" on Spreaker. Steph had a birthday and went backpacking over Spring Break. 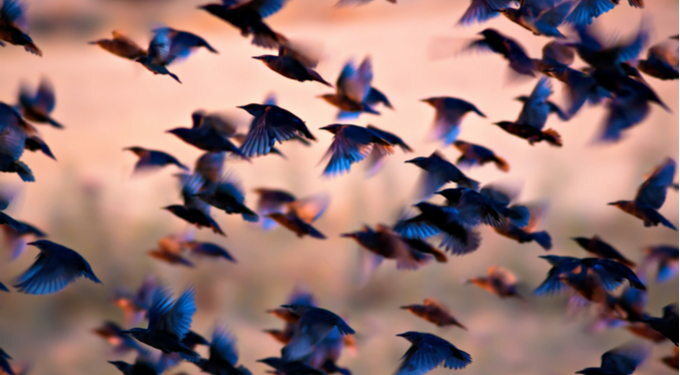 Listeners discover that Allison hates birds and wouldn't be caught dead camping. Steph chose birds for this episode's cover art because she's an evil co-host. We're easily amused by a clever Subject Line. 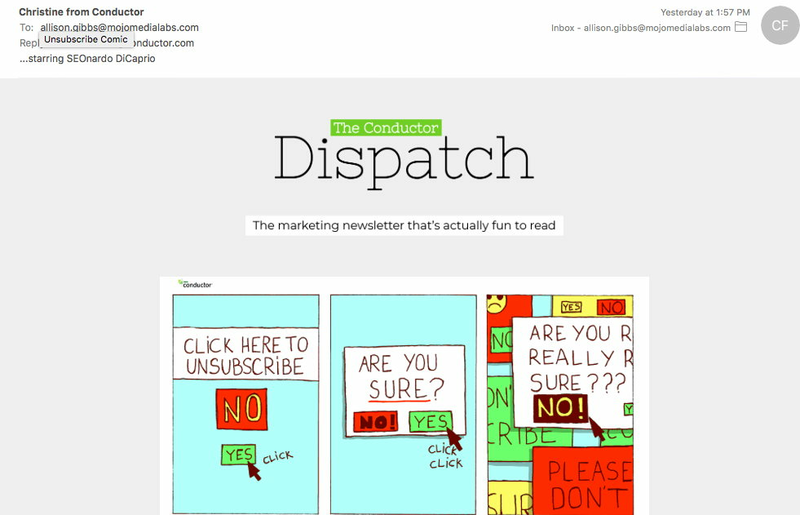 This week Christine from Conductor earns our Marketing Win with this whole newsletter, the subject line, the In-SEO-ption of SEOnardo DiCaprio, and the relatable comic. Soapbox moment: Don't make it hard for readers to Unsubscribe. SEOs show mixed results following Google March 2019 core update - we discuss this article from SearchEngineLand.